Supermassive Black Holes and Hot Galaxies…. More planets could harbour life…. New computer models suggest there could be many more habitable planets out there than previously thought. Scientists have developed models to help them identify planets in far-away solar systems that are capable of supporting life. Estimates of habitable planet numbers have been based on the likelihood of them having surface water. But a new model allows scientists to identify planets with underground water kept liquid by planetary heat. The research was presented at the British Science Festival in Aberdeen. Water is fundamental for life as we know it. Planets too close to their sun lose surface water to the atmosphere through evaporation. Surface water on planets located in the more frigid distant reaches from their sun is locked away as ice. The dogma was, for water to exist in its life-giving liquid form, a planet had to be the right distance from its sun – in the habitable zone. As Sean McMahon, the PhD student from Aberdeen University who is carrying out the work explained: “It’s the idea of a range of distances from a star within which the surface of an Earth-like planet is not too hot or too cold for water to be liquid. But researchers are starting to think that the Goldilocks theory is far too simple. Planets can receive two sources of heat – heat direct from the star and heat generated deep inside the planet. As you descend through the crust of the Earth, the temperature gets higher and higher. Even when the surface is frozen, water can exist below ground. Immense quantities of water in fact – teeming with primitive life. As Prof John Parnell, also from Aberdeen University, who is leading the study, said: “There is a significant habitat for microorganisms below the surface of the Earth, extending down several kilometres. So the Aberdeen team are developing models to predict which far-flung planets might harbour underground reservoirs of liquid water with the possibility of alien life. As you move away from the star the amount of heat a planet receives from the star decreases and the surface water freezes – but any water held deep inside will stay liquid if the internal heat is high enough – and that water could support life. 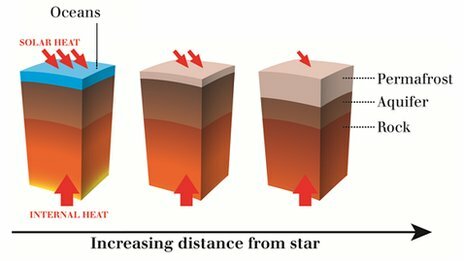 Even a planet so far from the star that it receives almost no solar heat could still maintain underground liquid water. According to Mr McMahon, “There will be several times more [habitable] planets”. A space telescope has added to its list of spectacular finds, spotting millions of supermassive black holes and blisteringly hot, “extreme” galaxies. 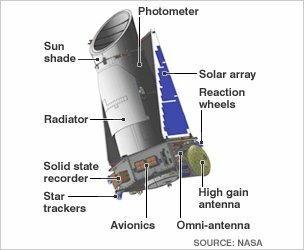 The finds, by US space agency Nasa’s Wide-Field Infrared Survey Explorer (Wise), once lay obscured behind dust. But Wise can see in wavelengths correlated with heat, seeing for the first time some of the brightest objects in the Universe. The haul will help astronomers work out how galaxies and black holes form. 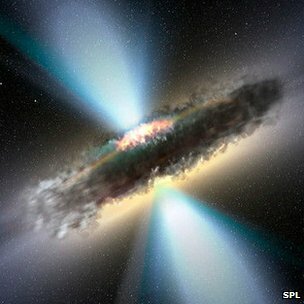 It is known that most large galaxies host black holes at their centres, sometimes feeding on nearby gas, dust and stars and sometimes spraying out enough energy to halt star formation altogether. How the two evolve together has remained a mystery, and the Wise data are already yielding some surprises. Wise gives astronomers what is currently a unique view on the cosmos, looking at wavelengths of light far beyond those we can see but giving information that we cannot get from wavelengths we can. Among its other discoveries, in 2011 Wise spotted in a “Trojan” asteroid ahead of the Earth in its orbit. But with the latest results, Wise has come into its own as an unparalleled black hole hunter. “We’ve got the black holes cornered,” said Daniel Stern of Nasa’s Jet Propulsion Laboratory (JPL), lead author of one of the three studies presented on Wednesday. Dr Stern and his colleagues used the Nuclear Spectroscopic Telescope Array (Nustar) space telescope to examine the X-rays coming out of the black hole candidates spotted by Wise, presenting their findings in a paper to appear in Astrophysical Journal. “Wise is finding them across the full sky, while Nustar is giving us an entirely new look at their high-energy X-ray light and learning what makes them tick,” he said. 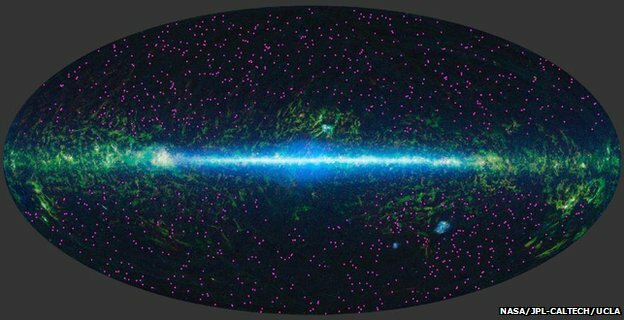 The other two studies presented – one already published in Astrophysical journal and another yet to appear – focussed on extremely hot, bright galaxies that have until now remained hidden: hot dust-obscured galaxies, or hot-Dogs. There are so far about 1,000 candidate galaxies, some of which can out-shine our Sun by a factor of 100 trillion. “These dusty, cataclysmically forming galaxies are so rare Wise had to scan the entire sky to find them,” said Peter Eisenhardt of JPL, lead author of the paper describing Wise’s first hot-Dog find. The data from the Wise mission are made publicly available so that scientists outside the collaboration can also carry out their own studies, so the future will hold a wealth of studies from these extreme and otherwise hidden corners of the Universe. Pangea Supercontinent from space, as it may have looked 300 million years ago. The Earth is a little over 4.5 billion years old, its oldest materials being 4.3 billion-year-old zircon crystals. Its earliest times were geologically violent, and it suffered constant bombardment from meteorites. When this ended, the Earth cooled and its surface solidified to a crust – the first solid rocks. There were no continents as yet, just a global ocean peppered with small islands. Erosion, sedimentation and volcanic activity – possibly assisted by more meteor impacts – eventually created small proto-continents which grew until they reached roughly their current size 2.5 billion years ago. The continents have since repeatedly collided and been torn apart, so maps of Earth in the distant past are quite different to today’s. The history of life on Earth began about 3.8 billion years ago, initially with single-celled prokaryotic cells, such as bacteria. Multicellular life evolved over a billion years later and it’s only in the last 570 million years that the kind of life forms we are familiar with began to evolve, starting with arthropods, followed by fish 530 million years ago (Ma), land plants 475Ma and forests 385Ma. Mammals didn’t evolve until 200Ma and our own species, Homo sapiens, only 200,000 years ago. So humans have been around for a mere 0.004% of the Earth’s history. Geologists have organised the history of the Earth into a timescale on which large chunks of time are called periods and smaller ones called epochs. Each period is separated by a major geological or palaeontological event, such as the mass extinction of the dinosaurs which occurred at the boundary between the Cretaceous period and the Paleocene epoch. Although the Cretaceous-Tertiary (or K-T) extinction event is the most well-known because it wiped out the dinosaurs, a series of other mass extinction events has occurred throughout the history of the Earth, some even more devastating than K-T. Mass extinctions are periods in Earth’s history when abnormally large numbers of species die out simultaneously or within a limited time frame. The most severe occurred at the end of the Permian period when 96% of all species perished. This along with K-T are two of the Big Five mass extinctions, each of which wiped out at least half of all species. Many smaller scale mass extinctions have occurred, indeed the disappearance of many animals and plants at the hands of man in prehistoric, historic and modern times will eventually show up in the fossil record as mass extinctions. Discover more about Earth’s major extinction events below. Asteroid impacts, climate change, volcanoes – there have been many theories about the causes of mass extinctions. In some cases, such as the Cretaceous mass extinction event, more than one such factor was involved in the global catastrophe. If you were able to travel back far in time, you’d find Earth to be a very different place – at times a giant hot molten ball of rock, at others a frozen planet completely covered in snow and ice. During its long history, Earth has been covered by habitats and experienced climates that no longer exist. Discover more about these and about the dramatic story of ancient Earth. Astronomers have confirmed the existence of an Earth-like planet in the “habitable zone” around a star not unlike our own. 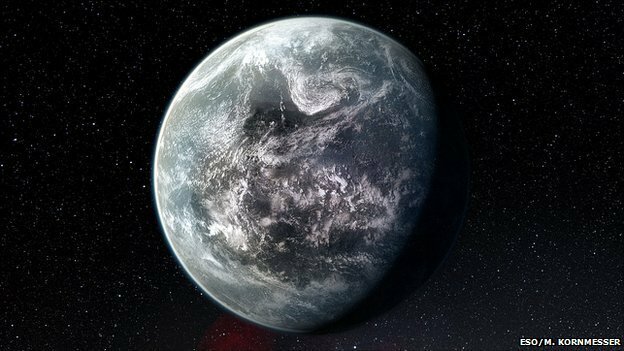 The planet, Kepler 22-b, lies about 600 light-years away and is about 2.4 times the size of Earth, and has a temperature of about 22C. It is the closest confirmed planet yet to one like ours – an “Earth 2.0”. However, the team does not yet know if Kepler 22-b is made mostly of rock, gas or liquid. During the conference at which the result was announced, the Kepler team also said that it had spotted some 1,094 new candidate planets – nearly doubling the telescope’s haul of potential far-flung worlds. 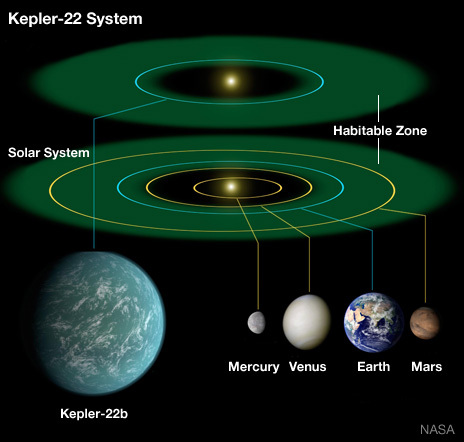 Kepler 22-b was one of 54 exoplanet candidates in habitable zones reported by the Kepler team in February, and is just the first to be formally confirmed using other telescopes. More of these “Earth 2.0” candidates are likely to be confirmed in the near future, though a redefinition of the habitable zone’s boundaries has brought that number down to 48. Ten of those are Earth-sized. The Kepler space telescope was designed to look at a fixed swathe of the night sky, staring intently at about 150,000 stars. The telescope is sensitive enough to see when a planet passes in front of its host star, dimming the star’s light by a minuscule amount. Kepler identifies these slight changes in starlight as candidate planets, which are then confirmed by further observations by Kepler and other telescopes in orbit and on Earth. Kepler 22-b lies 15% closer to its sun than the Earth is to our Sun, and its year takes about 290 days. However, the planet’s host star puts out about 25% less light, keeping the planet at its balmy temperature that would support the existence of liquid water. 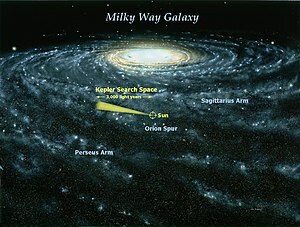 The Kepler team had to wait for three passes of the planet before upping its status from “candidate” to “confirmed”. 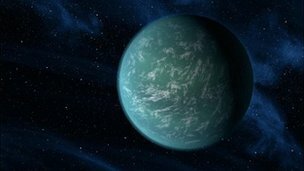 “Fortune smiled upon us with the detection of this planet,” said William Borucki, Kepler principal investigator at Nasa’s Ames Research Center. The results were announced at the Kepler telescope’s first science conference, alongside the staggering number of new candidate planets. The total number of candidates spotted by the telescope is now 2,326 – of which 207 are approximately Earth-sized. In total, the results suggest that planets ranging from Earth-sized to about four times Earth’s size – so-called “super-Earths” – may be more common than previously thought. As candidates for planets similar to Earth are confirmed, the Search for Extraterrestrial Intelligence (Seti) has a narrower focus for its ongoing hunt. “This is a superb opportunity for Seti observations,” said Jill Tarter, the director of the Center for Seti Research at the Seti Institute. “For the first time, we can point our telescopes at stars, and know that those stars actually host planetary systems – including at least one that begins to approximate an Earth analogue in the habitable zone around its host star. Astronomers using a telescope in Chile have discovered 50 previously unknown exoplanets. The bumper haul of new worlds includes 16 “super-Earths” – planets with a greater mass than our own, but below those of gas giants such as Jupiter. One of these super-Earths orbits inside the habitable zone – the region around a star where conditions could be hospitable to life. The planets were identified using the Harps instrument in La Silla in Chile. The new findings are being presented at a meeting called Extreme Solar Systems in Wyoming, US, and will appear in the journal Astronomy and Astrophysics. Lead author Dr Michel Mayor, from the University of Geneva in Switzerland, said the haul included “an exceptionally rich population of super-Earths and Neptune-type planets hosted by stars very similar to our Sun”. Of the new finds, a total of five planets have masses that are less than five times that of Earth. “These planets will be among the best targets for future space telescopes to look for signs of life in the planet’s atmosphere by looking for chemical signatures such as evidence of oxygen,” said Francesco Pepe, from the Geneva Observatory, who contributed to the research. One of the worlds, called HD 85512 b, is estimated to be only 3.6 times the mass of the Earth. It is located at the edge of the habitable zone – the narrow strip around a star where liquid water can be present on the surface of a planet. Liquid water is considered essential for the existence of life. 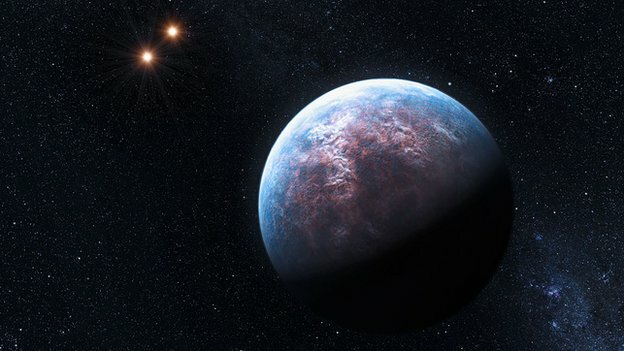 Observations with Harps have also allowed astronomers to come up with an improved estimate of the likelihood that a star such as the Sun will host low-mass planets such as the Earth (as opposed to giants such as Jupiter). They found that about 40% of such stars have at least one planet less massive than Saturn. Harps (High Accuracy Radial Velocity Planet Searcher) is a precision instrument known as a spectrograph that is installed on the 3.6m telescope at Chile’s La Silla Observatory. The instrument searches for planets using the radial velocity method. 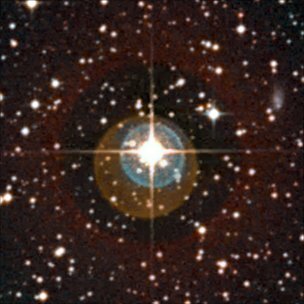 This looks for spectral signs that a star is wobbling due to gravitational tugs from an orbiting planet.